Athaliah, the ruthless queen of Judah, was even more wicked than her mother Jezebel. When her son Ahaziah died, she quickly seized control of the kingdom by executing all of her grandsons who might reign in her place. "But Jehosheba, ... sister of Ahaziah, took Joash the son of Ahaziah, and ... they hid him ... from Athaliah, so that he was not slain. And he was with her hid in the house of the Lord six years. And Athaliah did reign over the land." 2 Kings 11:2,3. For six years only a handful of trusted people knew that the royal child was living and hidden in the temple of God. 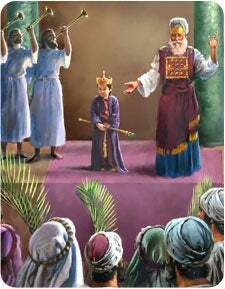 Jehoiada, the high priest, loved and trained young Joash as his own son. For six years Jehoiada planned and prayed for the best moment to present this rightful heir to the people. Finally the old priest secretly summoned trusted captains in the army and showed them that the youngest son of Ahaziah was still alive. 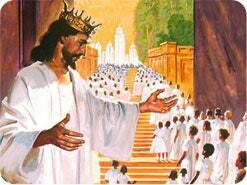 They decided to wait until Friday evening, when all of the faithful people would come to the temple for Sabbath worship, to present the young king to them. With hundreds of armed soldiers on every side, Jehoiada brought the heir of David's throne before the crowd and introduced him. At first the people were astonished, but when they saw the royal crown placed upon his head, "they clapped their hands, and said, God save the king." 2 Kings 11:12. Now when wicked Athaliah heard the noise of trumpets and all the people rejoicing, she came running into the temple only to discover that her reign of terror was through. That day she and her followers were slain, and Joash was given the kingdom. The Bible tells us that another son of David will soon emerge from the heavenly temple amidst the blowing of trumpets to receive His rightful kingdom and to destroy the wicked. 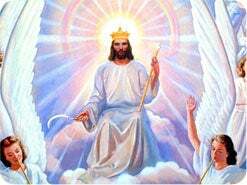 1. Who is this king who will soon emerge from the temple in heaven? Revelation 14:14. And I looked, and behold a white cloud, and upon the cloud one sat like unto the ______ of man, having on his head a golden crown. 2. Will Jesus come quietly when He returns? 1 Thessalonians 4:16. For the Lord himself shall descend from heaven with a __________, with the voice of the archangel, and with the trump of God. Jeremiah 25:30 The Lord shall roar from on high, and utter his voice from his holy habitation; he shall mightily roar upon his habitation; he shall give a __________. Psalm 50:3 Our God shall come, and shall not keep silence: ... and it shall be very tempestuous round about him. NOTE: "Tempestuous" means "turbulent and stormy." The second coming of Jesus will clearly be noisy beyond description. There will be nothing secret about it! 3. What other physical evidence will accompany Jesus' return? Revelation 16:18. And there was a great ____________________, such as was not since men were upon the earth, so mighty an __________, and so great. 4. Who will see Jesus when He returns? Matthew 24:30. And then sh__________ appear the sign of the Son of man in heaven: and then sh__________ ______ the tribes of the earth mourn, and they sh__________ see the Son of man coming in the clouds of heaven with power and great glory. 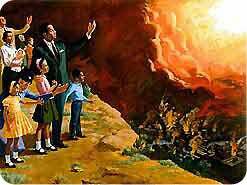 Revelation 1:7 Behold, he cometh with clouds; and every eye sh__________ see him. NOTE: This is too clear to misunderstand. 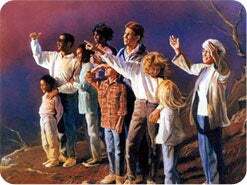 Every person alive, wicked or righteous, will see Jesus return to earth. A secret gathering, or "rapture," of God's people is not described in the Bible. 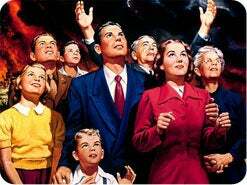 5. Who will be with Jesus when He returns in the clouds? Matthew 25:31. When the Son of man shall come in his glory, and all the holy ____________ with him, then shall he sit upon the throne of his glory. NOTE: The brightness of the Lord's return will, by comparison, make the brightness of a hydrogen bomb pale into insignificance. At Jesus' tomb, the brightness of one angel caused all the Roman guards to fall to the ground as dead men (Matthew 28:2-4). 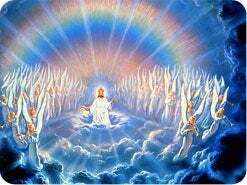 The brightness of all heaven's angels will make Jesus' second coming too bright for anyone to miss. Added to this will be the fantastic glory of Jesus and the Father (Luke 9:26). Jesus' second coming will be like lightning flashing from one horizon to the other (Matthew 24:27). 6. 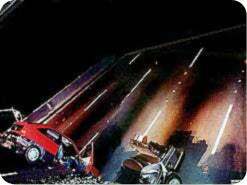 What will the brightness of Jesus' coming do to the living wicked? 2 Thessalonians 2:8. And then shall that Wicked be revealed, whom the Lord shall consume with the spirit of his mouth, and shall ______________ with the brightness of his coming. 2 Thessalonians 1:7, 8 When the Lord Jesus shall be revealed from heaven with his mighty angels, In flaming fire taking vengeance on them that know not God. 7. What will happen to the righteous who are dead at Jesus' coming? 1 Thessalonians 4:16. The dead in Christ shall ________ first. 8. 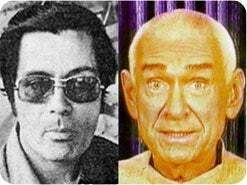 At this point, what will happen to the living and resurrected saints? 1 Corinthians 15:52, 53. The dead shall be raised incorruptible, and we shall be ______________. For this corruptible must put on incorruption, and this mortal must put on immortality. NOTE: No one except God has immortality now (1 Timothy 6:15, 16). But it will be given as a free gift to the righteous at Jesus' second coming. Their bodies also will be changed into heavenly, incorruptible bodies, like that of Jesus (Philippians 3:20, 21). 9. After being changed, what will happen to the righteous? 1 Thessalonians 4:17. 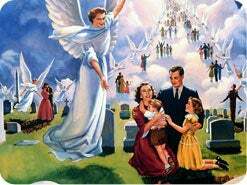 Then we which are alive and remain shall be ____________ up together with them [the resurrected saints] in the clouds, to meet the Lord in the air. NOTE: God's saints will meet the Lord in the air. 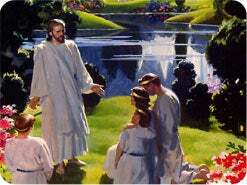 Jesus does not touch the earth at His second coming, so He will not appear on the earth, as many believe. His second coming will be a sky appearance, not an earth appearance. 10. What solemn warning does Jesus give about His second coming? Matthew 24:5. For many shall come in my name, saying, I am Christ; and shall ______________ many. Matthew 24:24, 26 For there shall arise false Christs, and false prophets, and shall shew great signs and wonders; insomuch that, if it were possible, they shall __________ the very elect. ... If they shall say unto you, Behold, ... he is in the secret chambers; believe it not. NOTE: Satan will impersonate Christ's second coming by appearing upon the earth as a glorious being, and he will deceive billions. 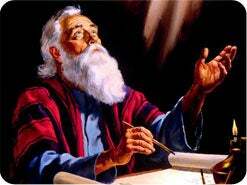 Jesus has warned us that He will not touch the earth at all at His second coming, but rather will remain in the air. 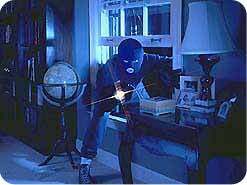 The dazzling deceptions of Satan will be so convincing that most people will be deceived. 11. What will prevent the righteous from being deceived? Isaiah 8:20. 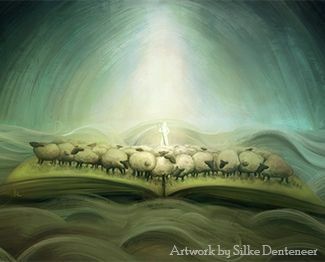 To the law and to the testimony: if they speak not according to this ________, it is because there is no light in them. NOTE: God's people will not be deceived, because they will know from a study of God's Word just how Jesus will come (Acts 17:11). Any appearing that is not in agreement with Scripture is a counterfeit and must be rejected. Jesus forewarned us. Matthew 24:25 Behold, I have told you before. 12. Would it be safe to go see a false Christ? Matthew 24:26. Wherefore if they shall say unto you, Behold, he is in the desert; go ______ forth. 13. 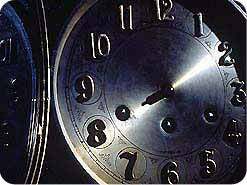 What can we know about the time of Jesus' return? Matthew 24:33. When ye shall see all these things, know that it is ________, even at the doors. NOTE: Only God knows the exact time of the second coming. All date setting is out of harmony with the Bible. But Jesus made it clear that when we see the signs of His coming fulfilled (Matthew 24:4-51; Luke 21:8-33; and 2 Timothy 3:1-8), we can know that His coming is very near--even at the doors. 14. 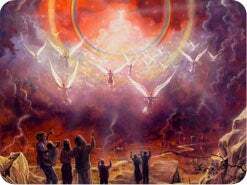 What will the angels do at Jesus' second coming? Matthew 24:31. His angels ... shall ____________ together his elect from the four winds, from one end of heaven to the other. NOTE: Your guardian angel (Matthew 18:10) will probably be the first to greet you at Jesus' return. What a blessed thought! No wonder the Bible calls the second coming the "blessed hope" (Titus 2:13)! 15. Since we are living just before Jesus' second coming, how should we relate to this solemn, glorious event? Matthew 24:44. 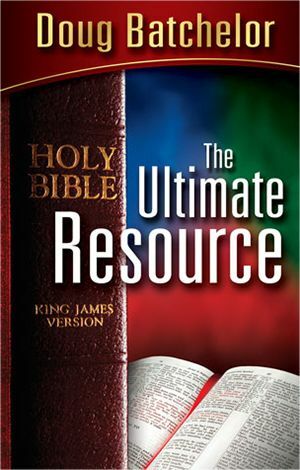 Therefore be ye also __________: for in such an hour as ye think not the Son of man cometh. 16. How will people be rewarded at Jesus' second coming? Revelation 22:12. Behold, I come quickly; and my reward is with me, to give every man according as his ________ shall be. NOTE: People will be saved by grace but rewarded based on their conduct, not on their profession (Matthew 7:21-23). 17. What will the wicked say when Jesus returns? Revelation 6:15-17. And the kings of the earth, and the great men, and the rich men, and the chief captains, and the mighty men, and every bondman, and every free man ... said to the mountains and rocks, Fall on us, and hide us from the face of him that sitteth on the throne ...: For the great day of his wrath is come; and ______ shall be able to stand? NOTE: During this horrendous final earthquake, the wicked--petrified with fear--will prefer for the rocks and mountains to fall on them rather than to face King Jesus unprepared. 18. 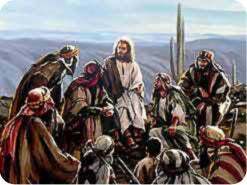 What will the righteous say when Jesus appears? Isaiah 25:9. Lo, this is our God; we have waited for him, and he will ________ us: ... we will be glad and rejoice in his salvation. 19. What is the prime purpose of Jesus' second coming? John 14:3. I will come again, and ______________ you unto myself; that where I am, there ye may be also. NOTE: Jesus' most thrilling purpose in returning to earth is to take His children to the glorious home He has prepared for them. No more tears, woes, heartaches, or illness forever. But rather, joy and peace unspeakable forever. 20. Jesus is coming in the clouds very soon. Will you plan now to be ready to meet Him? 1. The rapture is silent. 2. The rapture is invisible. 3. The rapture leaves the wicked alive. 4. God removes the righteous to protect them from the tribulation. 5. Christ's second coming will be in two stages: (1) the secret rapture, and (2) the actual coming, which will be glorious. 6. These two stages of the second coming will be seven years apart. 7. 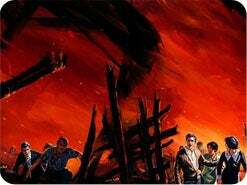 The rapture will take place before the revelation of the Antichrist, who then will bring about the tribulation. 8. The wicked will at this point have a second chance to be converted and to serve Christ. To examine these points fully is beyond the scope of this limited supplement, but we will briefly cover each point here. Points one and two were covered in this lesson, but they are mentioned again for emphasis. Prepare for some surprises! 1. The rapture is not silent, but rather is extremely noisy. The Scriptures say Jesus will descend "with a SHOUT, with the VOICE OF THE ARCHANGEL, and with the TRUMP OF GOD." 1 Thessalonians 4:16, emphasis added. David says, "Our God shall come, and shall not keep silence: ... it shall be very tempestuous [violent, whirling] round about him." Psalms 50:3. And Jeremiah says, "The Lord shall roar from on high, ... he shall mightily roar ... he shall give a shout. ... A noise shall come even to the ends of the earth." Jeremiah 25:30, 31. Nothing about it is quiet! 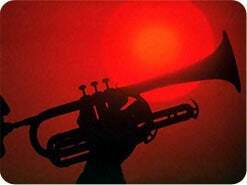 Christ will come with a noise heard around the world. Mark this well. If you are living when Jesus returns, you will hear Him come. Your ears will ring with catastrophic noise. 2. The rapture is not invisible it will be seen by all. All of the angels will come with Jesus (Matthew 25:31). One lone angel appeared at Jesus' resurrection, and his brightness was so overpowering that the entire Roman guard fell to the ground as dead men (Matthew 28:2-4). 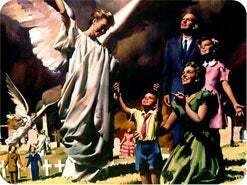 Consider the staggering brightness of all the angels of heaven! Added to the glory of the angels will be Jesus' own glory (Matthew 25:31) and the glory of His Father (Matthew 16:27). The brightness will be overwhelming. Jesus added, "For as the lightning cometh out of the east, shineth even unto the west so shall also the coming of the Son of man be." Matthew 24:27. Secret? By no stretch of the imagination. In fact, the Bible forever settled this by saying, "Behold, he cometh with clouds and every eye shall see him." Revelation 1:7. 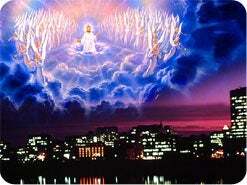 Rest assured, if you are living at Jesus' second coming, you will see Him come! 3. The rapture does not leave the wicked alive. They are slain at the Lord's coming (Isaiah 11:4 Malachi 4:1 2 Thessalonians 2:8). 4. God does not remove the righteous from the tribulation, but rather protects them through it (Psalms 91:5-12). 5. Christ's second coming will not be in two stages - one secret and the other seen by all. There is only one second coming, and it will be seen by every living person on earth. There is no Scripture to support a two-phase second coming. 6. 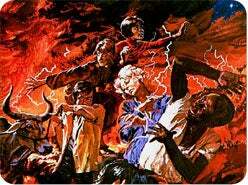 The secret rapture teachers claim that there is a seven-year period between the two second comings of Christ. This is not scriptural. 7. Antichrist does not appear three and one-half years after the second coming of Jesus. He has been active for centuries (1 John 4:3) and is doing his nefarious work even now. 8. The wicked will not have a second opportunity to be saved after the second coming. All sinners will be destroyed at the second coming. There is no second opportunity for anyone after Jesus' second coming.